Adding new content to your app on a regular basis is a great way to keep your mobile audience engaged over time, but people have busy lives and may not always remember to check your app for updated events, videos, music, etc. 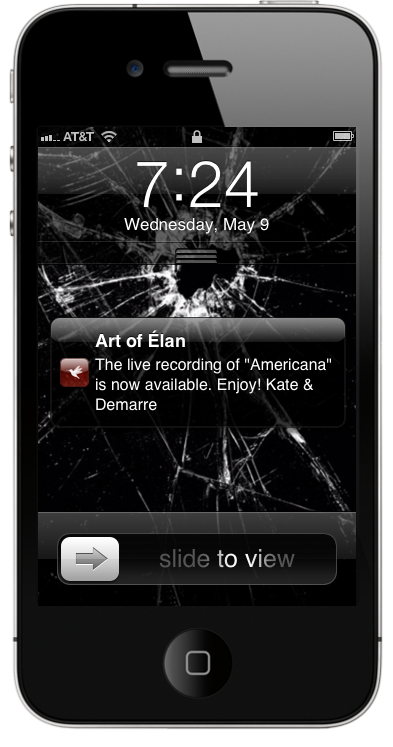 How can you keep your fans apprised of new additions to your mobile app? 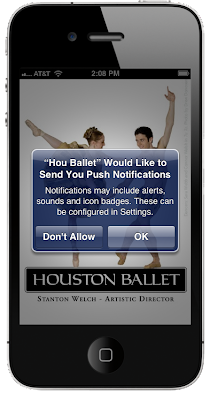 Push notifications are short text messages sent directly to your Apple and Android subscribers on their mobile devices. When downloads your app from either the Apple or Android marketplaces and launches the app on their mobile device, they are asked if they would like to receive these notifications from you. By tapping “OK,” subscribers have actively indicated that they would like to hear from you – so you should keep them updated and engaged! Keep it relevant. While it may seem obvious, make sure that all of your push messages are relevant to your audience’s primary interest – your work. They want to know if you have new content in your app. Are you streaming new music? 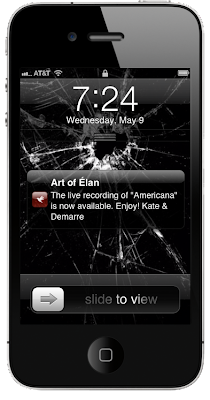 Did you add a series of video interviews with artists? Do you have a special promotion for mobile users who purchase tickets for this weekend’s performance? Did you just announce next year’s season? Keep it fresh. Use your push notifications to alert your mobile audience to new content, events, promotions, etc. Do NOT use push notifications to highlight content or events that have been in the app for awhile. For example, continually sending messages reminding your fans to buy tickets for this event or that event is not a smart use of push notifications. 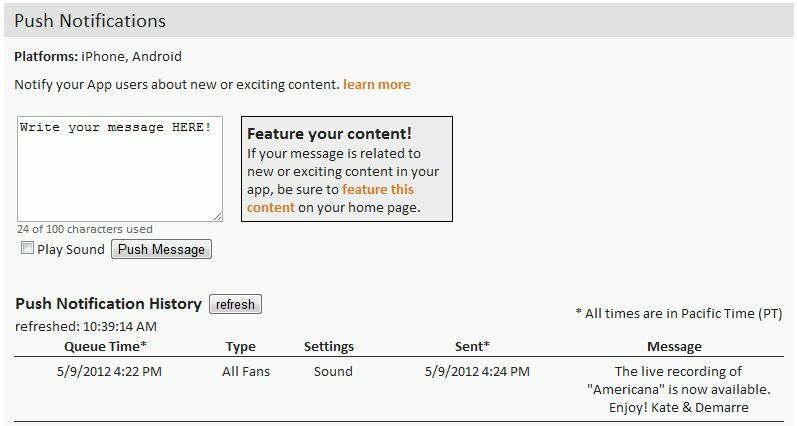 Now, if you have a special promotion for your app subscribers related to a particular event, then of course you should let them know. When a user taps on your push message, they are taken to your app’s Home tab. TIP: Use your Home tab’s welcome message to highlight and connect to the content or event mentioned in your push notification. 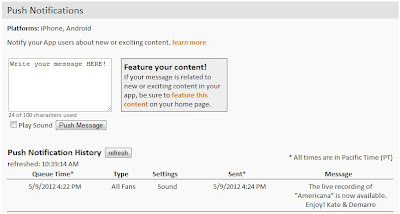 Your apps subscribers have taken the initiative to download your app and give you permission to send messages to them. Keep them informed, and keep them engaged.